The Hip & Urban Girl's Guide: Jet-Setting With An Infant - What You Need To Know! 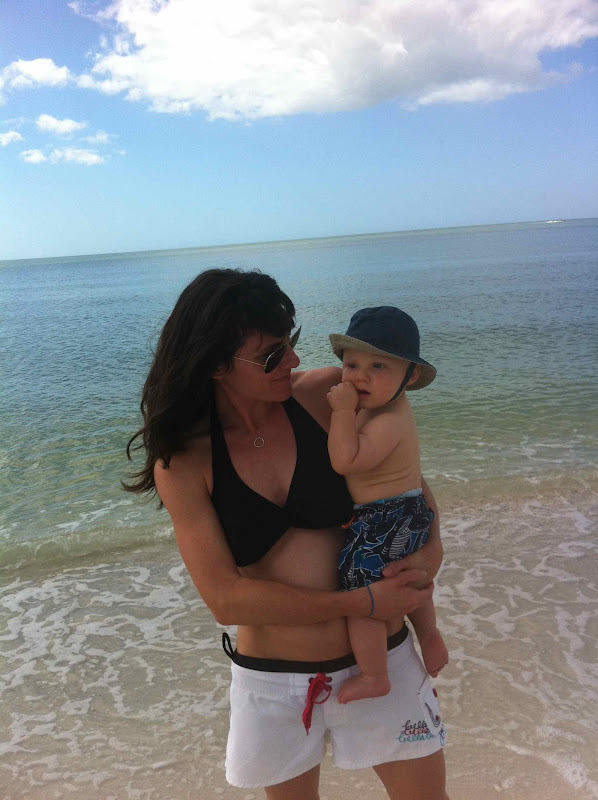 Jet-Setting With An Infant - What You Need To Know! Air travel solo with an infant is no fun, but if you’re organized it can be manageable. I’ve conquered the challenge a couple of times (solo and with help) so I thought I would share the stuff I think you need to know if you're planning a vacay with your little one. Passport Party! - If you're flying anywhere outside of Canada your little dude/dudette needs his/her own passport. Fill out the form for children on the Passport Canada website and get your babe's picture taken wherever they take passport pics in your area. L'il E was five weeks when we had his pic taken and you can imagine the difficulty we had ensuring his mouth was closed, both eyes open, looking forward and ears showing. One word. PACIFIER. The Best Seats In The House - When you book your flight, ask to be in the bulkhead or try to book a seat with an empty one beside it. Fortunately for me, I had a vacant middle seat beside me on the flight to and home from Florida so I was allowed to bring my car seat right on the plane and L'il E ended up getting his own seat (lifesaver!). If you can't swing this, I suggest bringing your Moby Wrap on board and wearing your babe so you can be hands-free. During takeoff and landing E just sucked on his pacifier, but he wasn't really bothered by the pressure (I was shocked!). Presto Change-O! - When it comes to changing your babe in all of those tiny changing areas at the airport and on the flight I highly recommend you invest in the Skip Hop Pronto Changing Station. 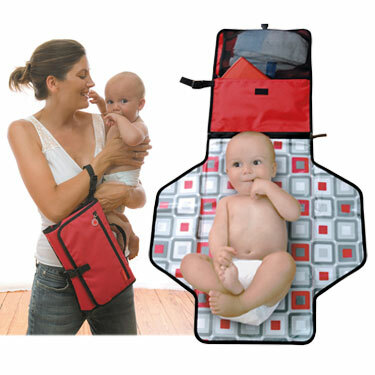 It's compact, unfolds into a mat (protects your babe from the scuzzy changing tables), holds a few diapers and comes with a small wipes case (this is a must-have item). The nice thing about this is you don't have to carry around a massive diaper bag; you just throw this "station" into any one of your bags or carry it like a clutch. Don't forget a backup outfit for you and the babe, diaper explosions happen at 30,000 feet! Do You Have A Permission Slip? - Now, if you're traveling solo (without daddy) make sure you have a consent letter from him consenting to your travel plans. Despite being told they never ask for the letter, I was asked to show the letter on my way out of the country and coming back in so I'm glad I had it with me! Here is an example letter you can use. For travel to the US the letter does NOT have to be notarized, but I've heard for travel to Mexico that it does. Packing It In - Finally pack light mummies! Initially I had L'il E's whole wardrobe packed as well as mine (wink wink), but The Hubs swooped in and downsized my luggage considerably, which was extremely helpful when I was navigating through the airport with E and all of our crap in tow. So, that's my advice (take it or leave it). BUT if you follow these simple suggestions your travels will go swimmingly. 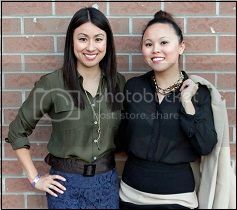 Alanna Banks is the author of the lifestyle blog http://fridaysoff.ca. Her posts are always honest, informative and share-worthy. When she's not blogging she's being mum to her toddler son and working 9-5 as a PR pro in Toronto. • make sure you and the baby are dressed in layers and bring a blanket. The airlines don't provide them anymore, and even if they did, you wouldn't want your baby snuggling in one. •the galleys are stocked with a small quantity of milk, really just enough for coffee. If your baby is a big milk drinker, buy some in the airport before you board. •there are no microwaves. If the flight attendant will warm a bottle for you, it means that he/she is resting the bottle in some hot water. It works, but it takes time. If you need a bottle warmed, think ahead and ask before your baby reaches the panicky-hungry stage. You, the baby, and your neighbors will all be happy.